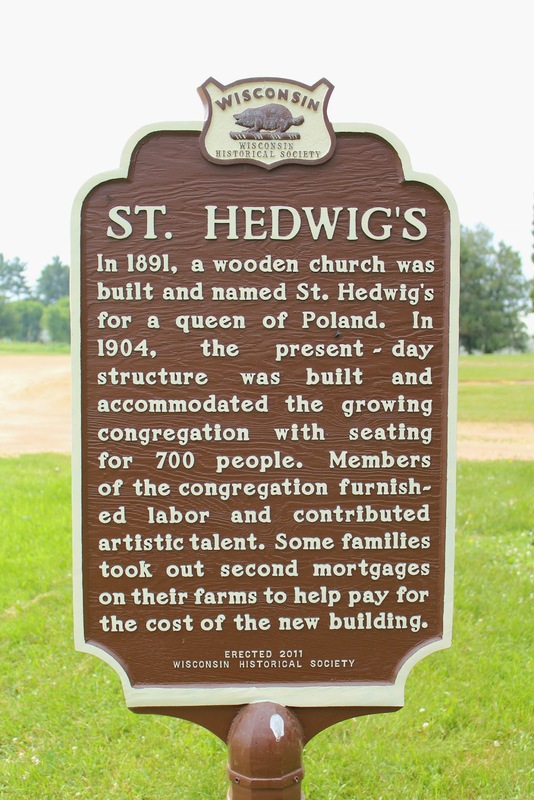 In 1891, a wooden church was built and named St. Hedwig's for a queen of Poland. 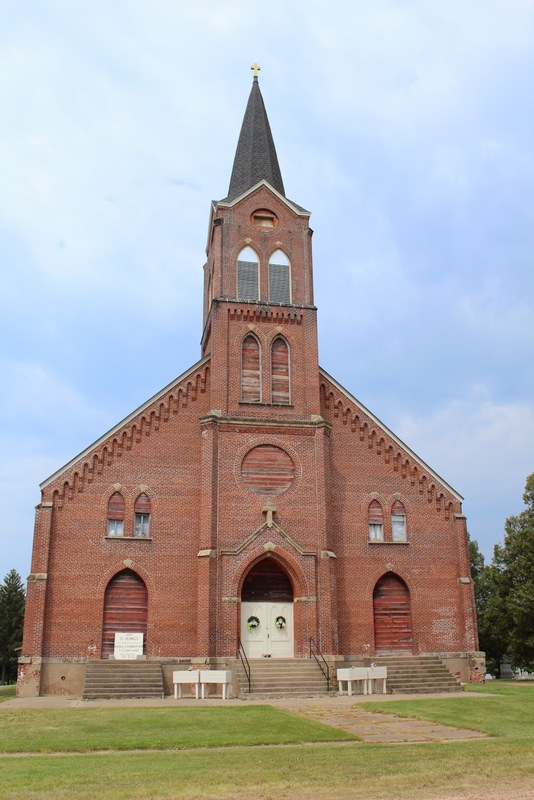 In 1904, the present-day structure was built and accommodated the growing congregation with seating for 700 people. Members of the congregation furnished labor and contributed artistic talent. Some families took out second mortgages on their farms to help pay for the cost of the new building. 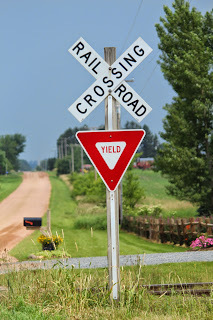 NOTE: This is a two-sided marker: see also, Marker 537: Poznan Colony. 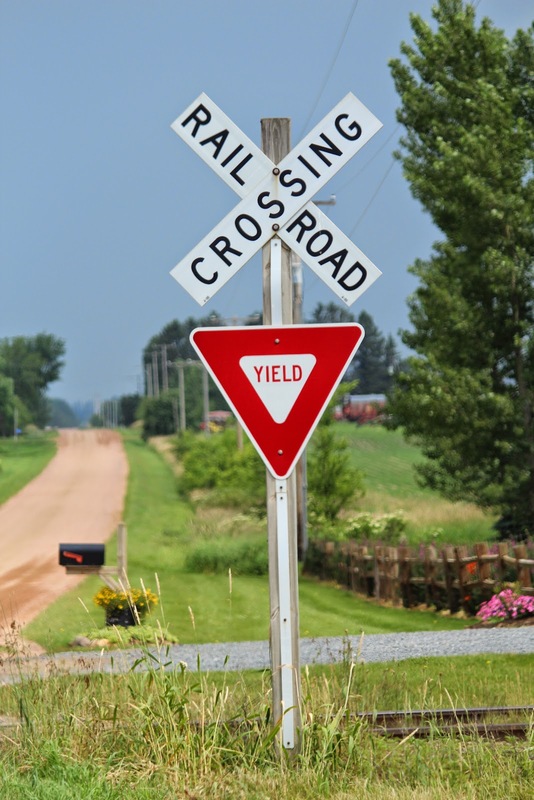 The marker is located at St. Hedwig's Church, N14921 Gorman Avenue, north of its intersection with County Highway X, Thorp, Wisconsin 54771. See also, St. Hedwig's Bells, also at this location. As someone raised in this Polish community, this marker didn't have room to tell another part of the story about this church. 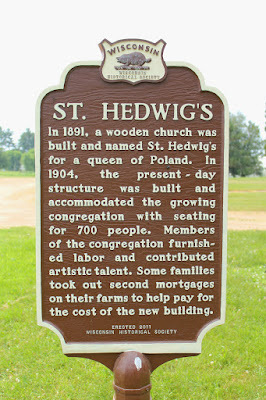 As immigrants made it to Chicago and wondered how to get to the Poznan Colony, they were told by people in the know to take a certain train until they saw the St. Hedwig's Church along the tracks, and get off at the next train station, which was Thorp.